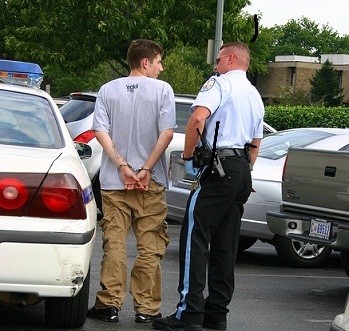 If you’re facing DUI charges, the police report is probably the single most important resource you and your attorney have in building your defense against the DUI charges. This is the core evidence the prosecutor will use to try to prove the case against you. The report is what you and your attorney will go through with a fine-tooth comb as you work together to dispute the charges. It is important to read the report calmly and with an open mind. Understand that this shows you the essentials of the prosecution’s case against you and how the arresting officer will testify against you. You probably won’t agree with much in the report, but that is where you and a good DUI lawyer start building your defense. What is on your police report? The officer writes a narrative account of the arrest and details the evidence he gathered against you. Your attorney will help you understand how the tests should have been conducted, and work with you to ascertain if the tests were properly conducted in your case. The police report will also include identifying information about you such as your name, address, and driver’s license number. Field Sobriety Tests: law enforcement may give suspected drunk drivers field sobriety tests such as the walk and turn test; a one legged stand test; and one of the most reliable indicators of alcohol influence: gaze nystagmus examinations. If you’re given one or all of these tests, the results will be in your DUI police report. Blood alcohol content – or BAC – refers to the amount of alcohol in your blood, measured as weight per unit of volume, then converted to a percentage. So if one-eighth of a percent of your blood is alcohol, then your BAC level is .08%, and it is illegal to drive at that level or above. There are three basic chemical tests you may have been given in connection with a DUI arrest. The most common is the breathalyzer. This evaluates the driver’s BAC level by having the suspect blow into a breathalyzer. There are two types of breathalyzers: a portable one kept in the police vehicle; and one at the police station. Blood tests are a more accurate test for determining a person’s BAC. A qualified medical technician must conduct blood tests according to Ohio law. Be aware though that improper handling of the blood may compromise the test results. Breath tests are only used for testing alcohol levels. If other intoxicants are suspected, a person may be told to provide a urine or blood sample. To ensure the accuracy of the sample, specific steps must be followed. Need a DUI lawyer in Columbus, Ohio? If you are being accused of driving under the influence in Columbus, Ohio, you need the representation of an experienced and trusted DUI attorney. The Maher Law Firm can help make sure that your rights are protected. Founding attorney, Colin Maher is a National Highway Traffic Safety Administration (NHTSA) certified practitioner for field sobriety testing, which is the same training as police officers. This training helps him evaluate and challenge the evidence collection process in DUI cases. Call The Maher Law Firm today for a free consultation at 614-205-2208 or contact us online.